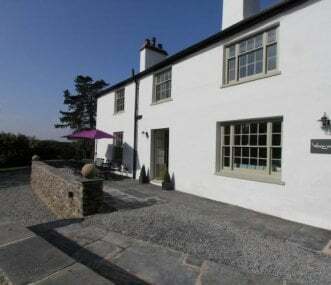 Rent a large holiday cottage in Lancashire or Cheshire. Hire a bunk barn or converted farmhouse in the Lake District and Cumbria and enjoy the region's sixteen stunning lakes and England's highest mountains. Or take a group to stay at an outdoor activity centre, providing accommodation and the outdoor equipment, transport and guides necessary to make the most of the region. 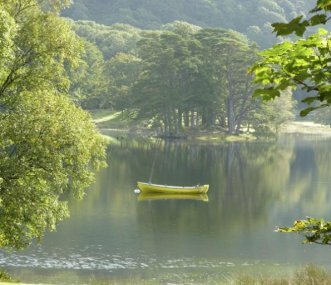 The Lake District is one of the most popular destinations for an active group holiday, offering great opportunities for sailing, rock climbing, walking and hiking. For an urban experience rent an apartment or stay in a hostel in Merseyside or Manchester. 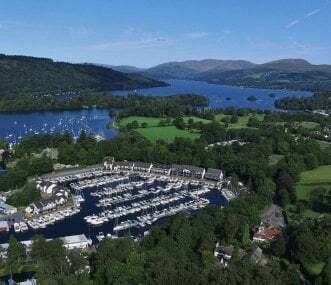 Luxury apartments overlooking a beautiful private marina in the heart of the Lake District. From 1 to 5 bedrooms. We can provide the perfect option for large group stays and special occasions. Self-catering cottage sleeping 11 guests in a fantastic rural setting. 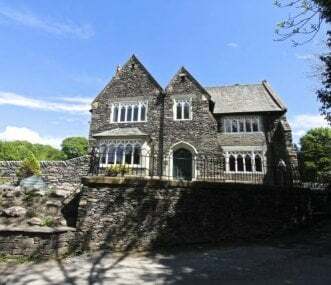 Located near Ambleside on the north shore of Lake Windermere and ideal for family gatherings. Orrest Head House dates back to 1672 and was one of the first houses to be built in Windermere. Set in private grounds and the house can be combined with Orrest Head cottage to sleep up to 17 people. White Moss, Number Two, The Terrace is one of 5 houses to rent in a private road in Windermere. This historic property sleeps 12 and is the perfect place for a family get together or weekend party. 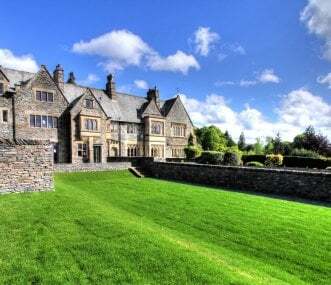 Hardcragg Hall is a unique experience, offering luxury 5 star accommodation. 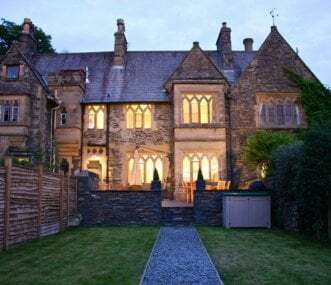 Hardcragg Hall sleeps up to 14 in 7 bedrooms and has 6 bathrooms. Ideal for family holidays, short breaks and celebrations. Perfect for large groups of families of up to 16 people, set in 2 acres on the outskirts of Penny Bridge village in a rural situation, no neighbours and close by locally supplied local pubs and shops. Oakland West is a luxury house sleeping 14 in 6 en suite bedrooms. 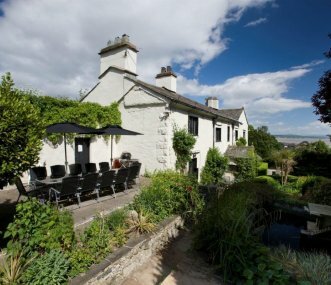 The property has amazing views, a large enclosed garden, huge kitchen dining room and cosy lounge. Plus free electric car charging. Number One, The Terrace is the flagship house of The Terrace Windermere. 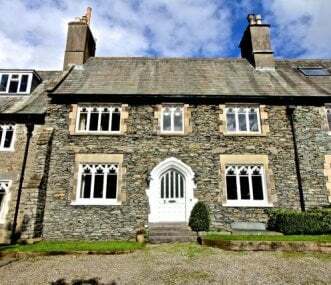 Designed for the owners of the Kendal - Windermere railway by AWN Pugin, this beautiful house is now a boutique holiday home. 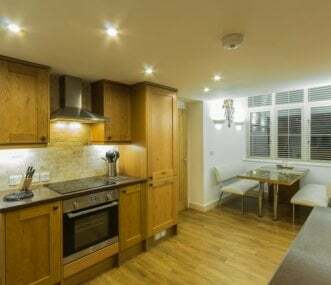 Salutation Yard in the Eden Valley is a courtyard of 3 delightful holiday houses catering for up to 15 adults and 2 children, includes some wheelchair accessible and pet friendly accommodation.